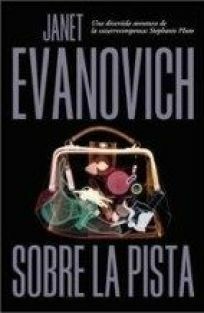 Evanovich's popular Stephanie Plum series debuts in Spanish, with more titles to come. The series' witty numerical titles won't work in translation (Sobre la pista is instead a literal rendering of ""high five""), but the cheeky, bounty-hunting Plum should still do well. In this 1999 outing, the New Jersey-based protagonist is after her missing uncle.